Back in December 2018 I decided to run four half marathons in 2019, partly as a challenge to myself and partly to raise money for the Versus Arthritis charity (formerly known as Arthritis Research UK). Long story short, if it wasn’t for the leaflet produced by this charity given to me at a hospital appointment, I’m not sure I’d even be able to type now let alone run a half marathon – but that’s a story for another blog. Back to December 2018. I was feeling fit, albeit a little podgy as it was Christmas but nothing to worry about and I kept up my running over the festive period even doing 7 miles on Boxing day. 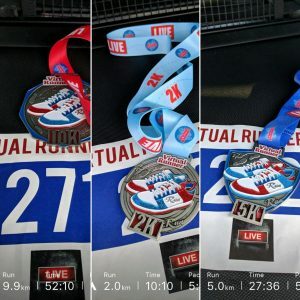 Then on January 6th 2019 I ran the Virtual Runner Live event, which was a 10k , a 2k and then a 5k run all back to back with short breaks in-between. I ran the first two quite conservatively for the conditions with the aim to do a final push on the 5k, however part way through the 5k my right calf started to hurt and the final 2k was run/walk kinda scenario. My times were 10k – 52:10, 2k- 10:10, 5k-27:36. After attempting a couple of runs the week after, I quickly came to conclusion that I had a mild calf strain. The ‘old me’ would just rest up and eat pizza, but I know I have these half marathons planned. 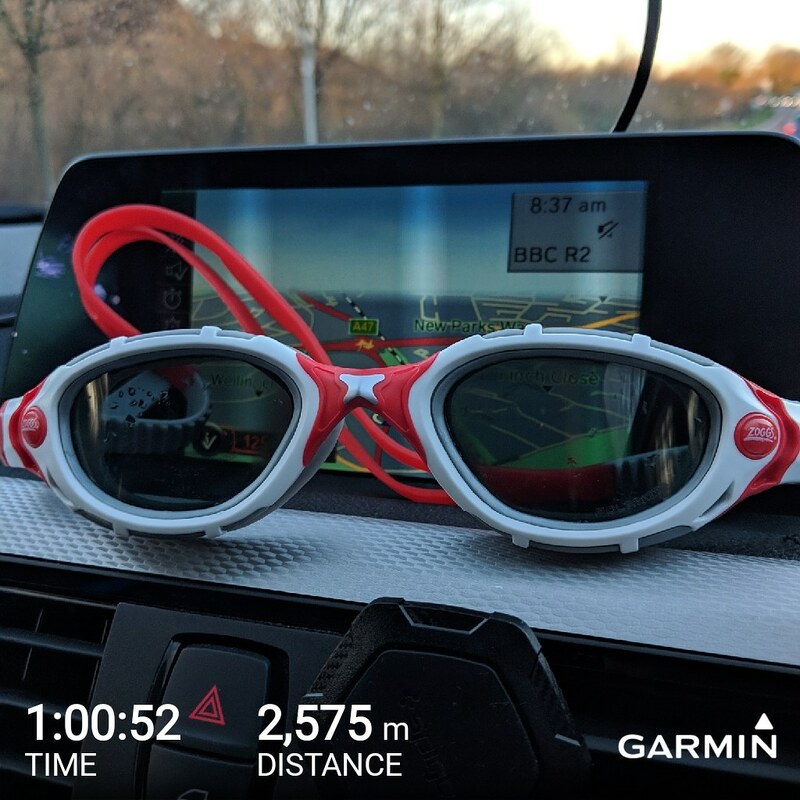 I don’t own a bike, don’t have gym membership and the only cardio equipment we own is a cross trainer (another no-no with a calf strain) so I fell back to my old love – swimming! So for the last few weeks I’ve been swimming twice a week for 1 hour at a time, hitting around the 2,500-2,700 meters mark each time. This combined that with two full body weight sessions also taking around 1 hour at a time is my revised training schedule. Now that we’re in the 3rd week of January 2019, my calf is now feeling ‘normal’ again so it’s time to regroup and refocus – I have a half marathon in 8 weeks and I’ve not ran in 21 days. The first thing I’m doing is throwing conventional training out the window!!! I will run on a Monday – 6 miles each time. 1 mile warmup pace, 4 miles HMP+30 pace and 1 mile cool down pace. (All timed using my app naturally! – Pace To Race – download it now!!!). That’s right folks, I plan to improve my running and run further than ever before by …… running less! Conventional training methods would have me running at least three times a week and that third run is a small 2-3 mile run. 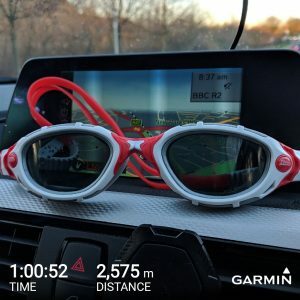 I don’t think this will help me, it’s an easy distance, it increases work on my calf and it’s not going to give me the cardio and full body conditioning that the swim will do. Will this work? Well all the sports science says YES so let’s find out. On top of this my wife (The Lean Cook) who is studying nutrition with Mac-NutritionUni has devised a sports nutrition plan for me with flexible goals allowing me to consume more on hard training days (especially carbs), ensuring I am fuelled adequately and all putting me in a slight deficit to allow me to shed a few kg’s before the race to make things easier. I plan to blog weekly on the way to the Coventry half marathon to see how it progresses.